With Miami Roll off Services, whether you are in need of 1-40 yard commercial containerized garbage removal, miami waste management services, miami garbage truck, miami trash container, commercial weekly garbage removal, industrial roll off waste services, or are building or cleaning a home, we have the garbage trucks, roll off containers and debris removal for you. Call today, Miami Dumpster Rental Services and Miami Roll Off, Jonathan, Sophia or Marc, for your dumpster rental, Miami Waste Management services provide the trash truck rental, Miami garbage truck, miami roll off, and commercial garbage container for all your needs. Our Miami commercial roll-off services ensure that you have on-time deliveries. Miami Commercial garbage services removes construction debris, trash, solid waste, by providing commercial solid waste management services, miami dumpster rentals, miami trash containers, miami garbage trucks, and miami roll off services. We provide 1-40 yard roll off containers in miami, fl. 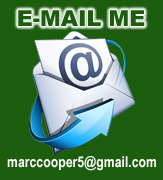 Do you need a better price for your miami roll off needs, then miami waste management services is here to help. Miami Roll off is the place to rent 1-40 yard roll off containers in miami, florida. Miami Roll off will haul away any trash, commercial garbage and junk you may need. Miami Garbage Truck will show up as promised to remove any rubbish thats taking up space around your home or business. We provide garbage containers, roll off containers, garbage trucks to construction sites, warehouses, industrial waste management services. NOTICE: WE DO NOT ACCEPT ANY RADIOACTIVE, VOLATILE, CORROSIVE, HIGHLY FLAMMABLE, EXPLOSIVE, INFECTIOUS, TOXIC OR HAZARDOUS MATERIALS. 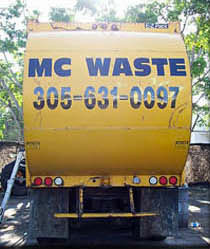 Copyright 2012 © MC Waste Services. All Rights Reserved.